Designed for preschoolers. Children enter through and make their way through wormsville. Next is the land of the cocoons that pop up off of the Bouncy Floor. 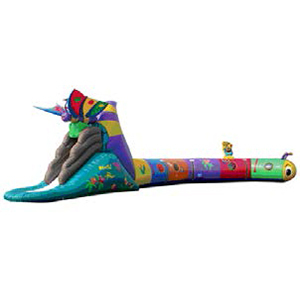 Kids will squeal as they bat their way to the slide and come busting out as beautiful butterfly. Great detail and lots of fun.